Home Tutorials How do Bitcoins Work? Are Bitcoin Transactions Truly Anonymous? Back in the good old days, currencies were based on silver or gold. This meant that you could theoretically walk into a bank and exchange your dollars or your pounds for a specific amount of gold. The gold standard has subsequently been abolished, and currencies are no longer pegged to specific commodities. Likewise, Bitcoins are not commodity-currencies. This cryptocurrency is based on a complex mathematical formula that determines the rate and quantity of production. Bitcoin is ‘mined’ by people all over the world. The formula that governs Bitcoin production is free to anyone at any time. Since Bitcoin utilizes open source software it is easy to check up on what is going on. Every time you log on to the Internet, you leave behind trace evidence of your activity, your transactions, or your identity. Over time, experts could theoretically piece together the ones and zeros to discover the true identity of anyone. And so it is with Bitcoin transactions, since a public ledger is kept for all sales and receipts of Bitcoins. When you buy or sell this cryptocurrency you do not use your name, your identity number, passport number or your Social Security number – you are assigned a random transaction number. This Bitcoin address is associated with your transaction, but different Bitcoin exchanges will assign different addresses accordingly. While anonymity is not absolute, your identity is not revealed when you transfer Bitcoin. Within seconds of making a transaction on the Internet, evidence of it is available for everyone to see. This is the worldwide ledger for all Bitcoins ever mined. The transparency of Bitcoin transactions is one of its most laudable characteristics. The blockchain is the place where you will see every single Bitcoin transaction ever recorded. Once a transfer has taken place, it is immediately available. As the available technology improves, so the efficacy of Bitcoin transactions is enhanced. Once you are ready to buy Bitcoin, you must first select an exchange. There are multiple exchanges in countries, and the process of purchasing Bitcoins is relatively straightforward. For example, if you’re in the USA you select your state, enter your email address, your phone number and your Bitcoin address. Next you will enter the amount of BTC you would like to receive in USD and an equivalent amount of Bitcoin will be displayed on screen. 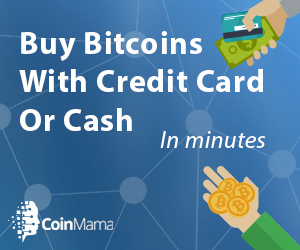 When buying Bitcoin, you have to physically go to the bank to make a deposit and then upload the receipt as proof of your purchase and within a specified timeframe you will be able to receive your Bitcoin. Bitcoin is not a traditional currency like the USD or the GBP. It is a cryptocurrency. It can be traded online like typical currencies, but it is decentralized. It also has no physical form other than an online presence which can be traded. Also, it is not an abstract concept since it has value and it can be used to buy and sell goods, make payments or transfer money. Once again, it is not controlled by the monetary authorities such as the Bank of England (BoE), Federal Reserve Bank, European Central Bank (ECB) or the Reserve Bank of Australia (RBA). Since nobody prints this currency and it was created by a software developer (Satoshi Nakamoto), its entire foundation is a mathematical algorithm. The digital creation of this currency sets it apart from the currencies of countries which are controlled by central banks. The network that determines how much Bitcoin is bought and sold is the same network that processes transactions with Bitcoin. It is impossible for anyone to produce unlimited amounts of Bitcoin since the entire system is predicated on a limit of 21 million Bitcoin. Let’s take a look at how Bitcoin transactions actually work. Once you get started, you will notice that Bitcoin is transferred from one e-wallet to another e-wallet. Digital security measures are in place at all times. Since everybody knows about every single Bitcoin transaction, there is 100% transparency at all times. Investors tend to mine Bitcoin for the purposes of appreciation in value, while other folks use this cryptocurrency for buying, selling and spending purposes. It is difficult to grasp the actual concept, suffice it to say that Bitcoins have real value and it is recognized by everyone in the market. All that you will see if you’re looking for evidence of a Bitcoin transaction is a record of the transaction. Balances will increase or decrease accordingly, and all transactions will be stored in the public register. This is known as a blockchain. The blockchain allows you to scrutinize the history of any individual address from inception to the present moment. In order to send Bitcoin from one party to another, several pieces of information are required. The first of them is a Bitcoin address and the second is a private key. The former is randomly generated and it contains numbers and letters while the latter contains numbers and letters and it is a secret combination. The private key is unique in that it is the only combination capable of unlocking the ‘safe’ which contains the 2 Bitcoins that were transferred from person A to person B. While the transaction is in process, Bitcoin miners will verify the details of the transaction, placing a block on it and then eventually mathematically solving the Bitcoin transaction. The system has been designed in such a way that each block will take approximately 10 minutes to mine. There are typically no transactions fees for Bitcoin, but on the odd occasion there may well be. Bear in mind that there are no receipts generated with Bitcoin transactions – they simply were not set up that way. Since Bitcoins are relatively expensive, it is possible to send small quantities from one party to another. The smallest such quantity is 5430 Satoshis.